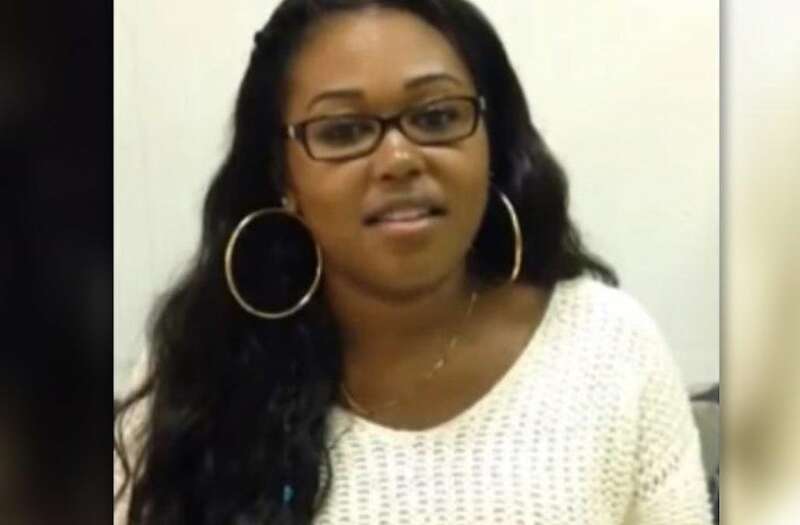 The 22-year-old woman set to start at Temple University was shot and killed by a Florida police officer while celebrating her birthday, relatives and officials said Monday. The Miami Beach police officer opened fire on Maryland native Cariann Hithon about a second after she knocked another cop off his feet during what appeared to be a mad-dash attempt to escape a crash Sunday evening. Police said two officers walked up to the first crash site after Hithon ran a red light and hit another car in an intersection. Witnesses soon surrounded her black BMW with one man urging her to step out of the car. Another bystander can be heard laughing that the driver was "drunk as s--t," according to footage that surfaced on Instagram. Without warning, she lunged forward and clipped the cop. Video of the deadly clash shows the other officer wasted no time pointing his weapon at Hithon and firing at least three shots. At least one bullet struck Hithon, causing her to lose control of the BMW car and crash into another vehicle down the block. "She's going to jail," another bystander cringed after watching the chaos unfold. Police and medics tried to save Hithon, but she died at a nearby hospital. Hithon’s grief-stricken father said the bizarre circumstances leading up to the police shooting was “out of character” for his daughter — who aspired to be a lawyer. “You can’t help but have a little bit of despair and anguish behind something like this because you don’t understand how it could happen,” Cary Hithon told WFOR-TV. Hithon faced a scattering of police encounters before her death. The Miami Herald reports, citing Virginia criminal records, that she was never convicted on charges of assault, battery, marijuana possession and showing a cop a fake ID. The Philly school confirmed Monday that Hithon recently transferred to Temple to study political science, while the Herald reports she previously attended Hampton University in Virginia. She joined Temple after completing a University of California leadership fellowship, officials said. “We await all the facts as this is still a breaking story, but our thoughts are with Cariann’s friends and family during this tremendously difficult time,” Temple spokeswoman Sarah Madaus said in a statement.